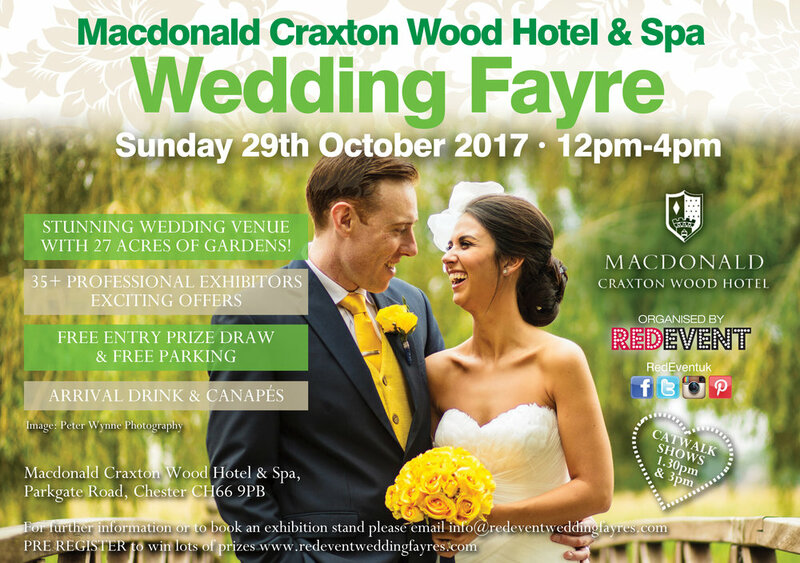 County Wedding Magazines are our official Media Partners and will be giving out the latest edition of their free magazine at our Chester Wedding Fayre on Sunday 29th October at the Macdonald Craxton Wood Hotel & Spa! With lots of wedding advice and tips make sure you pick up your free copy! Like what you see? Then sign up to their annual subscription to receive 50% off to all Red Event brides! Cost is only £8.80 for 6 issues of Your Cheshire & Merseyside Wedding! Quote code YCMW_2017 - offer expires 31st Dec, 2017. Your Cheshire & Merseyside Wedding Magazine will also be donating prizes to our raffle an annual subscriptions for three Red Event brides attending our Chester Wedding Fayre at the Macdonald Craxton Wood. Whether your looking for wedding Ideas or wedding Inspiration or your all important Wedding Venue then come along to our Chester Wedding Fayre and chat with the Hotel's Wedding Team and over 35+ Professional Exhibitors and be inspired! County Wedding Magazines are our official Media Partners and will be giving out the latest edition of their free magazine at our North West Wedding Fayre on Sunday 8th October at the Holiday Inn Ellesmere Port! With lots of wedding advice and tips make sure you pick up your free copy! Your Cheshire & Merseyside Wedding Magazine will also be donating prizes to our raffle an annual subscriptions for three Red Event brides attending our Wedding Fayre, also if you sign up on the day of our Wedding Fayre you will receive 50% off their annual subscription to Red Event brides! Cost is only £8.80 for 6 issues of Your Cheshire & Merseyside Wedding! Quote code YCMW_2017 - offer expires 31st Dec, 2017. Whether your looking for wedding Ideas or wedding Inspiration or your all important Wedding Venue then come along to our North West Wedding Fayre and chat with the Hotel's Wedding Team and over 35+ Professional Exhibitors and be inspired! County Wedding Magazines are our official Media Partners and will be giving out the latest edition of their free magazine at our Chester Wedding Fayre on Sunday 17th September at the Brook Mollington Banastre Hotel! With lots of wedding advice and tips make sure you pick up your free copy! Like what you see? Then sign up to their annual subscription to receive 50% off to all Red Event brides! Cost is only £8.80 for 6 issues of Your Cheshire & Merseyside Wedding! Quote code YCMW_2017 - offer expires 31st Dec, 2017. 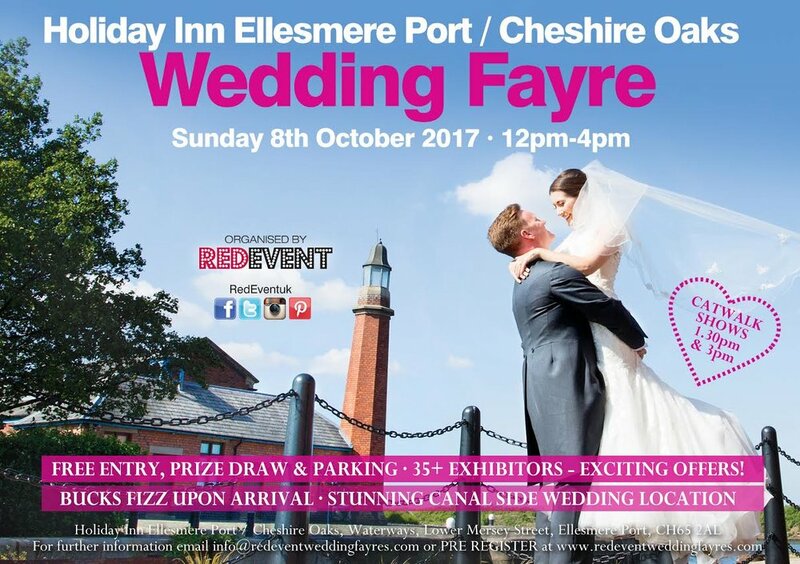 Your Cheshire & Merseyside Wedding Magazine will also be donating prizes to our raffle an annual subscriptions for three Red Event brides attending our Chester Wedding Fayre at the Brook Mollington Banastre Hotel & Spa. Whether your looking for wedding Ideas or wedding Inspiration or your all important Wedding Venue then come along to our Chester Wedding Fayre and chat with the Hotel's Wedding Team and over 30+ Professional Exhibitors and be inspired! Pick up the latest Cheshire & Merseyside Wedding Bridal Magazine for free at our Wedding Fayre on Sunday 19th March! County Wedding Magazines are our official Media Partners and will be giving out the latest edition of their free magazine at our Chester Wedding Fayre on Sunday 19th March at the Brook Mollington Banastre Hotel, Chester! With lots of wedding advice and tips make sure you pick up your free copy! Come along to our wedding fayre at The Leasowe Castle Hotel on Sunday 24th January, 12 -4pm and register with County Wedding Magazines and get the latest Bridal magazine for FREE! With lots of wedding tips and advice for your wedding day! Registration will also give you an entry into our ‘on the day’ free prize draw - be sure to watch our catwalk shows when the winners will be draw!